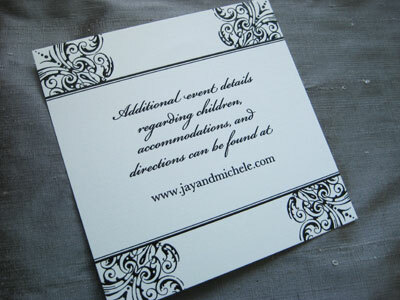 Here are some photos of a custom design invitation suite I created for a bride in Chicago. 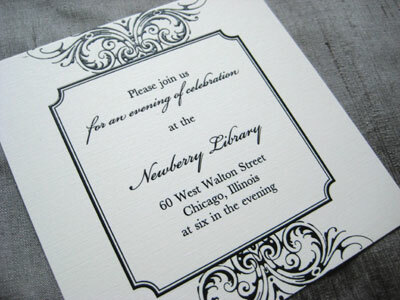 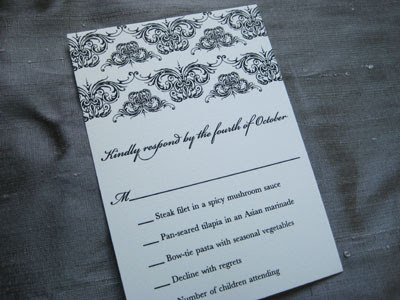 The ornate design was printed in black thermography on 130# off white linen stock. 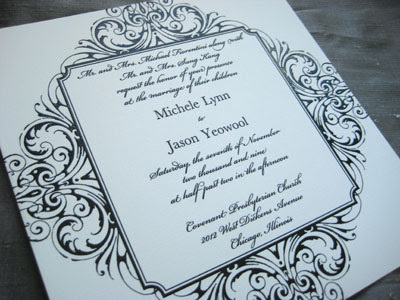 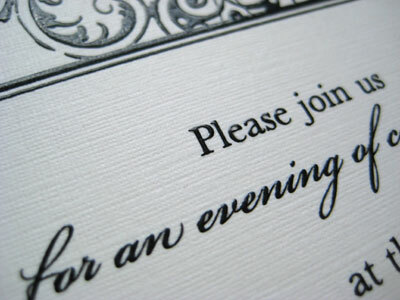 Even though I am a huge fan of color, every time I see an all black invitation printed in thermography, I absolutely love the striking quality and crisp look.